Product categories of Non-slip Rubber Gasket, we are specialized manufacturers from China, Non-Slip Rubber Gasket, Rubber Mat suppliers/factory, wholesale high-quality products of Non-Slip Gasket R & D and manufacturing, we have the perfect after-sales service and technical support. Look forward to your cooperation! Kitchens and baths generally have the hardest type of flooring in the home yet it`s actually the place where we stand the most. Physical discomfort and fatigue are often cited as the leading reasons why people invest in an anti-fatigue kitchen mat to place in front of the sink, stove or kitchen island. solving the painful problem of standing on hard flooring. 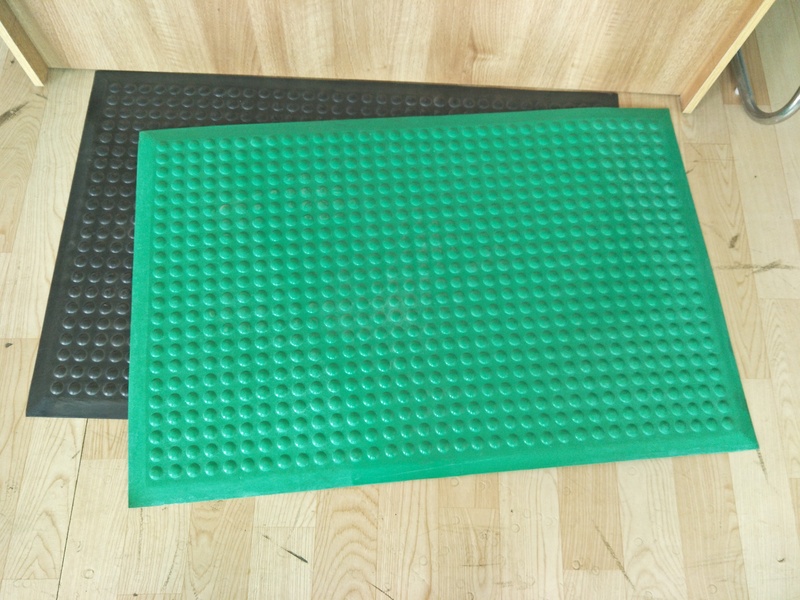 People who stand on kitchen comfort floor mats actually claim to be able to stand for longer periods of time without ever experiencing fatigue and soreness. Another reason that anti-fatigue kitchen mats are so popular is because they coordinate beautifully with today`s gourmet kitchens. Buy these designer-inspired kitchen floor mats that are easily cleaned with a sponge and dish soap. Compared to traditional woven kitchen rugs that soil easily, mats are slip-resistant and have a stain-resistant top surface that's constructed out of durable rubber that won`t absorb dirt or fluids. A sturdy, cushioned kitchen mat can help you find more comfort while you work. Let us Sonoma give you tips on selecting an easy-maintenance style for your needs. Today`s kitchen mats are light enough to pick up and throw in the washing machine, transport outside for a wash and easy for you to vacuum, sweep or wipe clean. That way, you stay comfortable in your kitchen, and the space stays clean. Bake and cook longer when your feet are cradled with specially engineered anti-fatigue mats. These offer a thick layer of cushioning along with shock absorption to withstand the daily wear and tear of kitchen work. Anti-fatigue mats, which are essential in professional commercial kitchens, help chefs cook for hours at a time. The cushioned layer is impervious to punctures, cracks, heat, stains and fading. It also bounces back after it`s imprinted with your footprints. While you`re standing on it, the cushioning material encourages better posture, blood circulation in your legs and muscle conditioning.